Donations of $250 and above entitles you to a free Elimination Handbook as a Thank You gift. 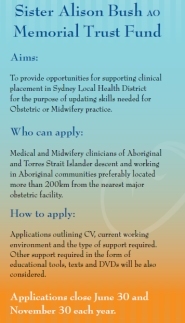 * Would you like to receive news about the work being done in Sydney Local Health District? When you press "Donate Now" you will be taken to a secure area where you can safely enter your credit card information. After payment please click 'Finish' to return to our website for more options.